But as Kathryn rises to his challenge, the fire between them that burns with equal parts hatred and lust only grows hotter! Until one night, Luca discovers Kathryn’s innocence runs deeper than he could ever have imagined… She belongs to him, and him alone! 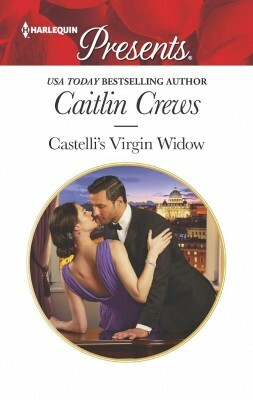 Follow Caitlin's Castelli’s Virgin Widow board on Pinterest. 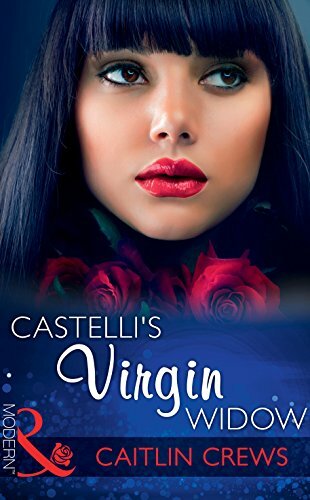 Luca Castelli’s trademark growl, his English laced with an undercurrent of both his native Italian and that particular harsh ruthlessness that Kathryn had only ever heard directed at her, jolted through her like an electric shock. She jerked where she stood near the library window, actually jumping in a way he’d be unlikely to miss, even from all the way on the other side of the long, luxurious, stunningly appointed room. Well-done, she thought, despairing of herself anew. Now he knows exactly how much he gets to you. She didn’t expect that anything she did would make this man like her. Luca had made it clear that could never happen. Over and over and over again, these past two years. But she wanted him—needed him—not to actively hate her as she started this new phase of her life. Kathryn figured that was better than nothing. As good a start as she could hope for, really. And her mother certainly hadn’t raised her to be a coward, despite how disappointing she knew she’d always been. Rose Merchant had never let hardship get between her and what needed to be done, as she reminded Kathryn at every opportunity. Forging ahead into the corporate world the way Rose hadn’t been able to do with a child to raise all on her own was, truly, the least Kathryn could do to honor all of her sacrifices. And to assuage the guilt she felt about her marriage to Gianni—the one time “honoring her mother’s sacrifices” had allowed her to do something purely for herself, too. But she couldn’t let herself think about that too closely. It made her feel much too ungrateful. 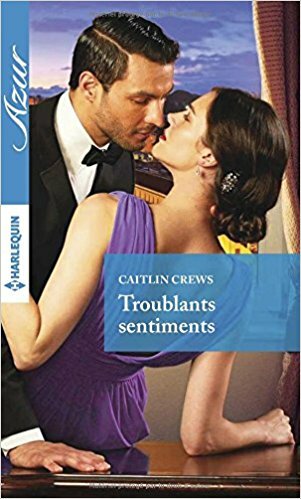 Kathryn straightened from her place at the window, aware that her movements were jerky and awkward, the way she always seemed to be around this man who noticed every last embarrassing detail about her and never hesitated to use each and every one of them against her. She nervously smoothed down the front of her dress. Nervously and also carefully, as if the dress was a talisman. But she was delaying the inevitable. She’d always wanted a chance to prove herself, to work on the creative side of a corporation and try her hand at something fun and interesting like marketing or branding instead of the deadly dull figures at which she was utterly hopeless. She’d spent her whole marriage excited at the prospect of working in the family company with Luca and his creative genius. Even if, other than that corporate flair of his, he was pretty much just awful. She assured herself powerful men often were. That Luca was run of the mill in that sense. Kathryn took a deep breath, resolutely squared her shoulders and turned to face her own personal demon at last. “Hello, Luca,” she said across the acres of space that separated them in this vast room, and she was proud of herself. She sounded so calm, so cool, when she was anything but. For any number of reasons, but mostly because looking at Luca Castelli was like staring directly into the sun. It had been from the start. And as usual, she was instantly dizzy. Luca moved like a terrible shadow across the library floor, and tragically, he was as beautiful as ever. Tall and solid and impressively athletic, his rangy form was sculpted to lean, male perfection and was routinely celebrated in slick, photo-heavy tabloid exultations across at least five continents. His thick black hair always looked messy, as if he lived such a reckless, devil-may-care life that it required he run his hands through it all the time and rake it back from his darkly handsome face as punctuation to every sentence—despite the fact he was now the Chief Operating Officer of the family company. Even here, on the day of his father’s funeral, where he wore a dark suit that trumpeted his rampant masculinity and excellent taste in equal measure, he gave off that same indolent air. That lazy, playful, perpetually relaxed state that only a man cresting high on the wealth of generations of equally affluent and pedigreed ancestors could achieve. As if no matter what he was actually doing, some part of him was always lounging about on a yacht somewhere with a cold drink in his hand and women presenting themselves for his pleasure. He had the look of a man who lived forever on the verge of laughter, deep and whole-bodied, from his gorgeous mouth to his flashing dark eyes. Except, of course, when he looked at her. The scowl he wore now did nothing to make him any less beautiful. Nothing could. But it made Kathryn shake deep, deep inside, as if she’d lost control of her own bones. She wanted to bolt. She might have, if that wouldn’t have made this whole situation that much worse. Besides, if she’d learned anything these past two years, it was that there was no outrunning Luca Castelli. There was no outmaneuvering him. There was only surviving him. His face was like stone, his full lips thin with displeasure, and he was closing the distance between them much too fast for Kathryn’s peace of mind. 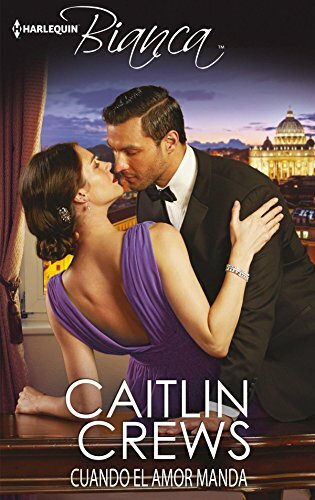 That he could still hate her so much should not have surprised her, Kathryn knew, because Luca had been remarkably consistent in that since the day she’d arrived in Italy with Gianni two years ago. And yet, like that cold winter morning when he’d charged at her across this very same floor, dark and furious and terrifying in a way she hadn’t entirely understood, it did. Though surprise wasn’t really the right word to describe the thing that rolled inside her, flattening everything it touched. The truth was that she hardly knew Luca, despite two years of having forced, unpleasant interactions with him. What she did know was that he’d taken an instant and intense and noticeable dislike to her. On sight. Why she’d subsequently spent even three seconds—much less the whole of her marriage to his father—trying to convince him that he was wrong about her was a mystery to her. It no doubt spoke to deep psychological problems on her part, but then again, what about her relationship with this family didn’t? But she did know that poking at him was unwise. Kathryn had a moment to regret the fact she’d done it anyway as Luca bore down on her, striding across the expanse of polished old floors and priceless rugs tossed here and there below rows of first editions in more languages than she’d known existed, all as smug and wealthy and resolutely untouchable as he was. Her mum had sniffed at the name and the image more than once, then reminded Kathryn that she had given Kathryn everything and received little in return, yet had never been called a saint by anyone. She’d even suggested that perhaps it had been Kathryn who’d come up with that name and that obnoxious storyline in the first place. It hadn’t been. That wasn’t to say she hadn’t played to it now and again. She’d always been fascinated with a good brand and widespread, global marketing. An actual slap would have hurt less. Kathryn blinked, managed not to otherwise react, and forced herself to stay right where she was instead of reeling at that. Because his opinion of her aside, this was her chance to do something she really, truly believed she’d be good at instead of what other people thought she ought to be good at. She knew he hated her. She might not know why, but it didn’t matter, in the end. Kathryn had never wanted status or jewels or whatever the stepmothers before her had wanted from Gianni. She’d wanted this. A chance to prove herself at a job she knew she could do, in a company that had international reach and a bold, bright future, and to finally show her mother that she, too, could succeed in business. Her way, not Rose’s way. This was what Gianni had promised her when he’d persuaded her to leave her MBA course in London and marry him—the opportunity to work in the family business when the marriage was over. This was what she wanted. She knew that if she did what every last nerve in her body was shrieking at her to do and broke for the door, she’d never come back and Luca, certainly, would never give her another chance, no matter what it said in Gianni’s will. Her mother would never, ever forgive her. And the lonely little girl inside Kathryn, who had never wanted anything but Rose’s love no matter how out of reach that had always been, simply couldn’t let that happen. She felt a dark, hard pulse inside her then. It felt like running. Like fright. It gripped her, hard. In her temples. In the hollows behind her knees. In her throat. Kathryn didn’t have any idea what was happening to her. She struck out at him instead. That word. Hate. It was a very strong word, and Kathryn had never understood how everything between them could feel so intense. She wasn’t any clearer about that now. Nor why it scraped at that raw place inside her, as if it mattered deeply to her. As if he did. When of course, he couldn’t. He didn’t. Luca was a means to an end, nothing more. Luca shook his head, judgment written in every line of his body in that elegant suit that a man as horrible as he was shouldn’t have been able to wear so well. Seduction techniques, he’d said, the way someone might say the Ebola virus. It offended her, Kathryn thought. Maybe that was why she lost her mind a little bit. He’d finally pushed her too far. She was aware of the grand house arrayed behind him, its ancient Italian splendor pressing in on her from all sides. Of the crystal-clear lake that stretched off into the mist and the mountains that rose sharp and imposing above it. Of Gianni, sweet old Gianni, who she would never make laugh again and would never call her cara again in his gravelly old voice. Even this rarefied, beautiful world felt diminished by the loss of him, and here Luca was, as hateful as ever. It was as if Luca expanded to fill the whole of the library then, he was so big, suddenly. Even bigger than he already was. So big she couldn’t breathe, and he hadn’t moved a muscle. He was simply dark and terrible, and that awful light in his eyes burned when he scowled at her. “I never did anything to you, Luca,” she hurled at him, and she couldn’t control her voice then. There were nearly two years of repressed feelings bottled up inside her. Every slight. Every snide remark. Every cutting word he’d said to her. Every vicious, unfair glare. Every time he’d walked out of a room she entered in obvious disgust. Every time she’d looked up from a conversation to find that stare of his all over her, like a touch. It was true that on some level, it was refreshing to meet someone who was so shockingly direct. But that didn’t make it hurt any less. He’d gone deathly still beneath her fingers. Like marble. Kathryn held his dark gaze. She saw the bright warning in it, and it should have scared her. It should have impressed her on some level, reminded her that whatever else he was, he was a very strong, very well-built man who was as unpredictable as he was dangerous. And that he hated her. But instead, she stared right back at him. “I don’t care what you think of me,” she told him, very distinctly. And then she poked him a third time. Even harder than before, right there in that shallow between his pectoral muscles. Luca moved so fast she had no time to process it. She poked him, then she was sprawled across the hard wall of his chest with her offending hand twisted behind her back. It was more than dizzying. It was like toppling from the top of one of the mountains that ringed the lake, then hurtling end over end toward the earth. 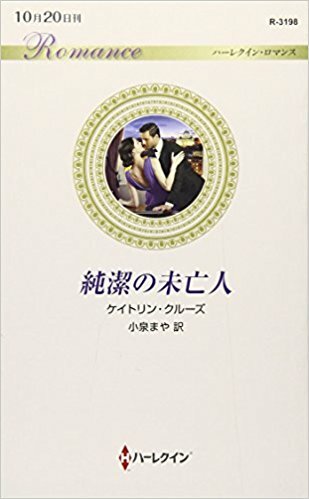 Her heart careened against her ribs, and his darkly gorgeous face was far too close to hers and she was touching him, her dress not nearly enough of a barrier to keep her from noticing unhelpful things like his scent, a hint of citrus and spice. The heat that blazed from him, as if he was his own furnace. And that deceptively languid strength of his that made something deep inside her flip over. And then he crushed his mouth to hers.